• By Ellen Evert Hopman, author of A Druid’s Herbal for the Sacred Earth Year; Walking the World in Wonder: A Children’s Herbal; and Tree Medicine, Tree Magic. In this book Pagan leaders and teachers describe in their own words what they believe and what they practice. 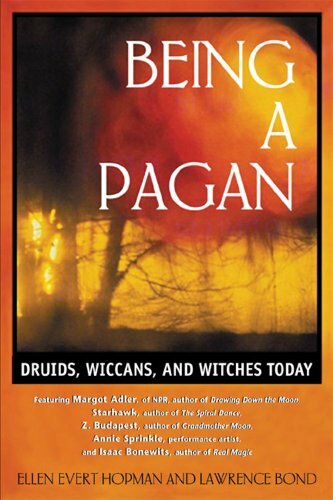 From Margot Adler, an NPR reporter and author of Drawing Down the Moon, to Isaac Bonewits, ArchDruid and founder of a modern neo-Druidic organization, those interviewed in this book express the rich diversity of modern Paganism. Hopman’s insightful questions draw on her own experiences as a Pagan and Druid as well as on her extensive research. With coauthor Lawrence Bond, she examines how Pagans address such issues as parenting, organized religion, and politics. The resulting dialogues illuminate the modern Pagan revival.